Primal Formulas are produced using only the freshest, 100% human-grade ingredients. The poultry, meat and game are antibiotic and steroid free without added hormones. Certified organic produce, certified organic minerals and unrefined vitamins are incorporated to fortify the complete and balanced diets. 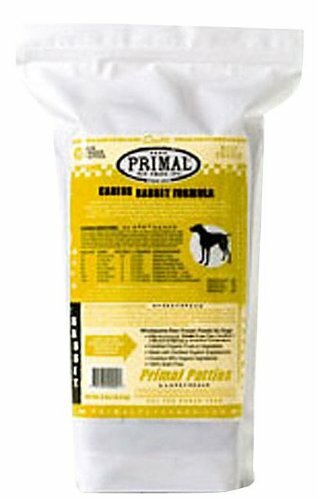 All Primal Formulas contain fresh ground bone for calcium supplementation. This combination of ingredients offers optimum levels of the amino acids (protein), essential fatty acids, natural-occurring enzymes, and necessary vitamins and minerals that are the building blocks for your pet’s healthy biological functions. 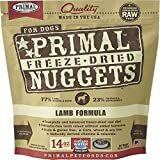 All of the ingredients found in Primal Formulas are procured from ranches and farms throughout the United States and New Zealand that take pride in producing wholesome raw foods through natural, sustainable agriculture. Primal Formulas offer you the convenience and benefits of a well-balanced, safe and wholesome raw-food diet without having to grind, chop, measure or mix the ingredients yourself. 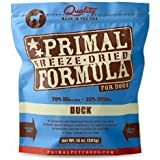 Primal Pet Foods has taken the time to carefully formulate and produce a nutritious, fresh-food diet that is easy for you to serve and delectable for pets to devour. The proof is watching them lick the bowl clean while thriving happily and healthfully!Frozen products are shipped in insulated coolers filled with dry ice.